December has been a whirlwind of insanity between Kevin's law school graduation and closing on our new house a few days before Christmas. Most of the month was spent visiting with family members who were in town to celebrate with Kevin, combined with packing and moving everything we own, with a whole lot of scrubbing every inch of our new house thrown in just for fun. We are super stoked to be in our own home finally, but thoroughly exhausted from the work it took to get here. 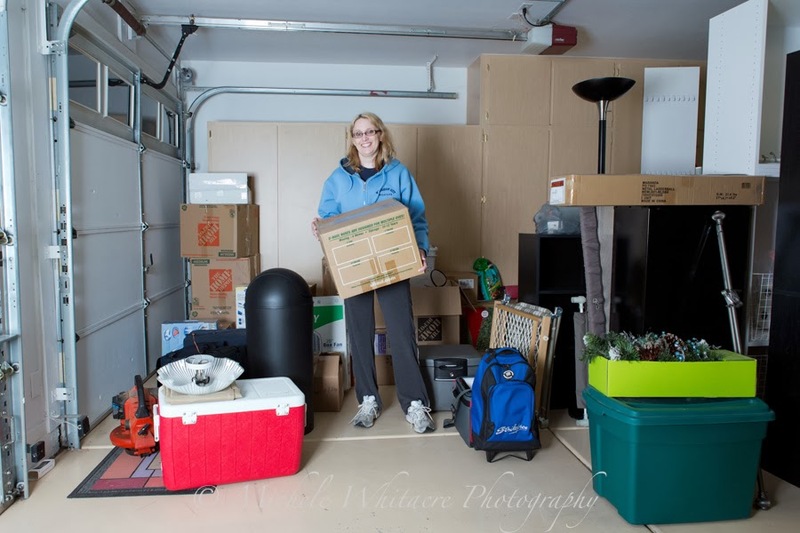 As a result, we more or less unpacked the necessities and left everything else in a big ol' pile in the garage where it is going to sit untouched until I regroup and regain an ounce or two of sanity (or until I get tired of parking in the driveway). So here I am in the middle of the mess for this month's self-portrait. I remember moving into my house. Took forever to unpack everything and it was really overwhelming. But it was all worth it once it was done.